My father taught me the fastest way to excel at anything is to learn from those who have already learned how to be the best. He knew I could drastically reduce the learning curve by borrowing from others experience. We put that lesson to work every day at Landvoice. We talk to many of the most successful real estate professionals around the country. We get to learn from them. We ask them what they do. We learn some of their secrets and we learn from their trials, errors, and triumphs. Over the years we have learned what they do to become the best agents and what they do to remain the best agents. Create and follow a good business plan. Diligent people who follow good plans with measureable goals and clear steps to reach those goals are almost always unstoppable. A good business plan is your road map to success. We have learned that a solid business plan is easier to create with help from those who have already done it successfully. Many of the best agents seek some degree of professional help to formulate and refine their business plans. The agents that remain successful regardless of market conditions continue to use, revisit and refine their plan as their business grows and the market changes. Effectively manage your finances. A strong financial plan and the discipline to follow the plan are critical to grow a healthy business. We all know that we have to spend (invest) money to make money. But we need to remember not to use that statement as an excuse to be reckless. We have all seen people and businesses that have lost control of their spending and eventually have nothing more to spend. The best agents have told us that many of them go to a banker or financial planner they trust to help them set up their plan and then help them follow it over time. These agents realize they do not have to know everything about everything and that they can turn to professionals for guidance. Effectively use and manage technology. Not the other way around. There are too many gadgets, devices, apps, tools, programs, and services to use them all. Trust us, we love technology and innovation at Landvoice. We are techno-geeks, but we try not to get distracted by every shiny object. We have learned that the best agents stay well informed about the technology options and trends. Top agents use technology as an asset to their success and not a distraction. One such tool that most of best agents use is a Contact Record Manager. A CRM will help you track your contacts as they move through your sales pipeline and help you manage all your communication with them. CRMs range in price from free to very expensive and have endless variations of capabilities. Do a little research, ask around, take advance of free trials and decide what you want the application to do before you sign any long term contracts. Use multiple sources of leads. Some coaches refer to this a multiple pillars of income. Markets change and the best agents do not put all their eggs in one basket. They do not rely only on just their sphere of influence and referrals to sustain their business. The top agents prospect and nurture many types of leads. Prospecting does not need to be painful and difficult. Prospecting can actually be pretty easy with the proper training, practice and a really good lead provider. Most top agents we talk to have used a coach or trainer to teach them how to prospect. This is the fastest way to learn the right attitude and right things to say to your different types of potential clients. Top agents also don’t waste time hunting for information for their leads. They use a lead provider that can provide the best lead sources with the most phone numbers every day. There a few lead providers to chose from. It is best to know your needs and choose accordingly. Landvoice happens to be very good at top quality lead sources with the most phone numbers. Give us a try. Learn to manage time and delegate. We all have the same number of hours in a day. The best agents spend more of their time listing and selling houses and they delegate the other tasks that take them away from that. 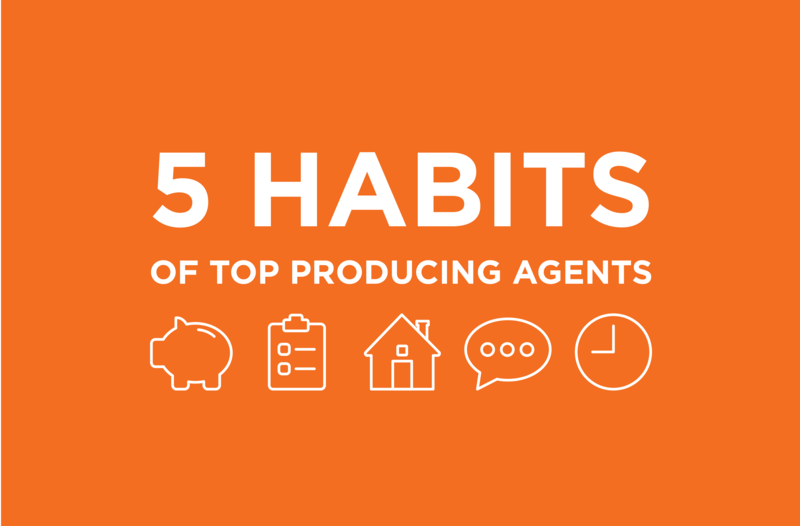 Top agents know when to delegate to other business, financial and technology professionals. They use real estate coaches and trainers. They use lead providers as virtual assistants to find leads to prospect. They spend a little bit of time and money on services that free them up to do what they do best, sell properties. This is how some of the most successful agents still have time to spend doing the other things that really matter the most to them. Times may change and so does the market, but the best agents keep doing the things that will make them successful regardless of the situation. They treat their business like a business and they prosper. May you find success as you work in and on your business.